It has been raining incessantly for the last twenty-four hours. The river has become fierce and ferocious, mighty and monstrous. It looks like a wild beast roaring through the valley. It is powerful, unstoppable and in flood, cutting through the banks, gulping down anything that comes on the way. 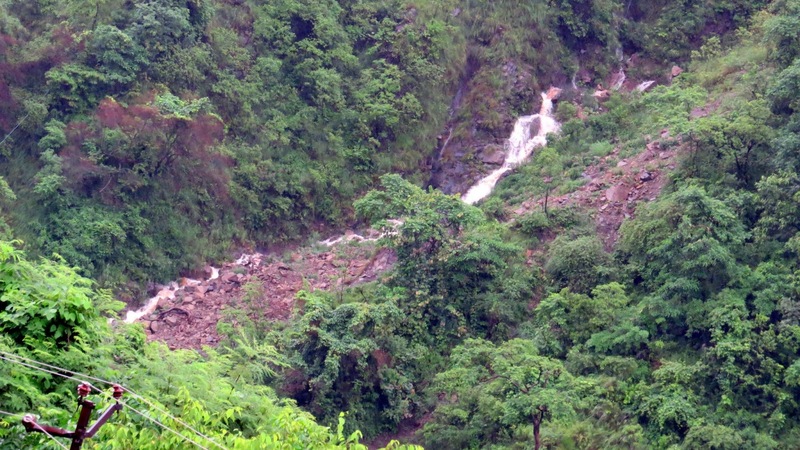 The rain has given birth to several tiny waterfalls that are emptying into the river, adding to its power. Clouds kiss the high peaks and sheets of fog keep rolling across the hills. The forest looks lush and rich. The sound of the rain feels like a lullaby – soothing, sonorous and continuous. 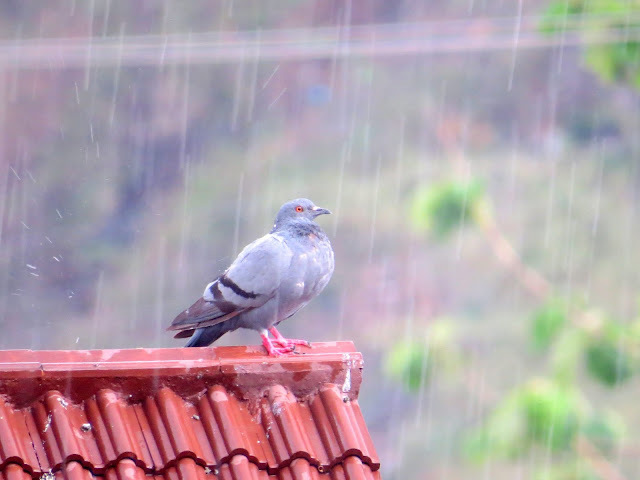 Far on a terrace, we saw a pigeon enjoying the rain. 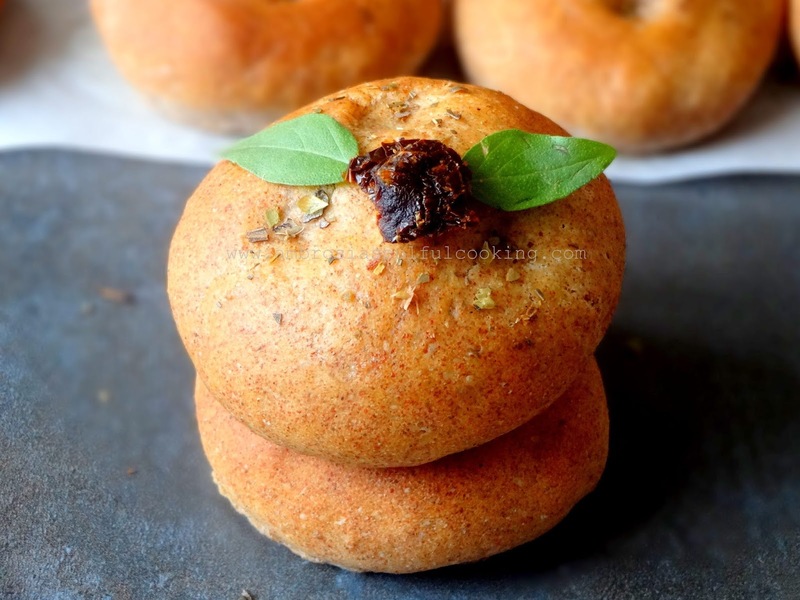 The rainy season calls for light meals and we plan to bake focaccia buns for dinner. These will be paired with tomato soup. 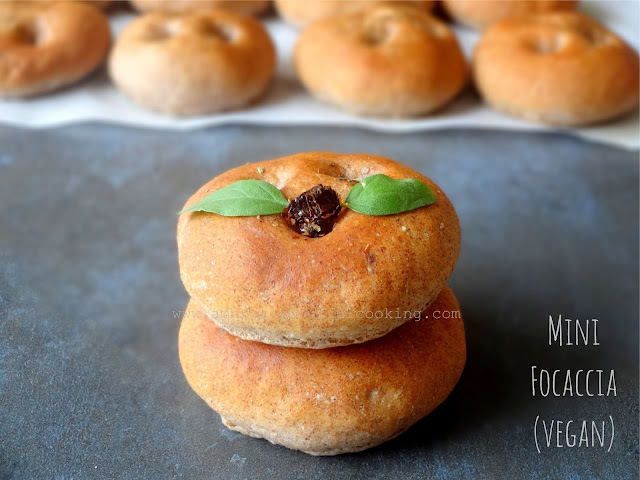 Mini focaccia or focaccia buns make a great snack too. Slit and slather with butter or cheese spread and enjoy with a cup of tea or coffee. We love to make sandwiches and pack them in the tiffin box. You’ll love to take them for picnics. 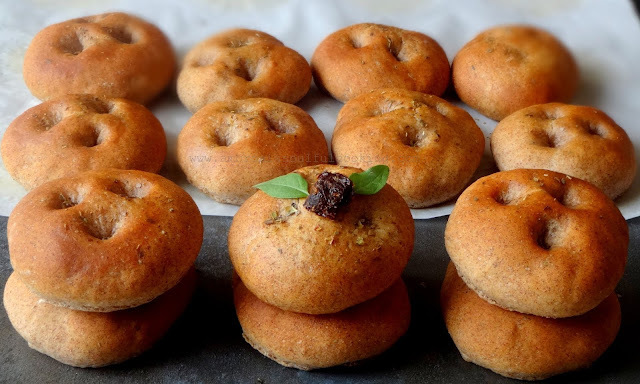 Warm, freshly baked mini focaccia is moreish and irresistible. We added some millet flour into the dough and added some garlic powder too. The focaccia turned out soft and spongy. One can play with the flavours by adding herbs of choice. In a deep bowl, take water, add sugar and yeast and cover for 10 minutes. The yeast will begin to foam. In another bowl, take all the remaining ingredients and mix well. Add yeast mixture and knead for 5 to 8 minutes till you get a very soft and smooth dough. Add more water if the dough feels hard or dry. Transfer dough to an oiled bowl. Cover and keep for 1 to 1 ½ hours or until double. Punch and knead again. Cut dough into 15 equal size pieces. Shape each piece into tiny buns/ rounds. Arrange on a baking tray lined with parchment paper. Cover and keep to rise for 30 minutes or until the focaccia becomes slightly puffy. Make dimples on the surface of each mini focaccia. Drizzle reserved oil and sprinkle herbs. Sprinkle some salt. Bake in a preheated oven at 200 degrees C for 20 minutes or until nice and golden. Drizzle some more oil and serve warm.